We did it! 150 pledged $10, 575. 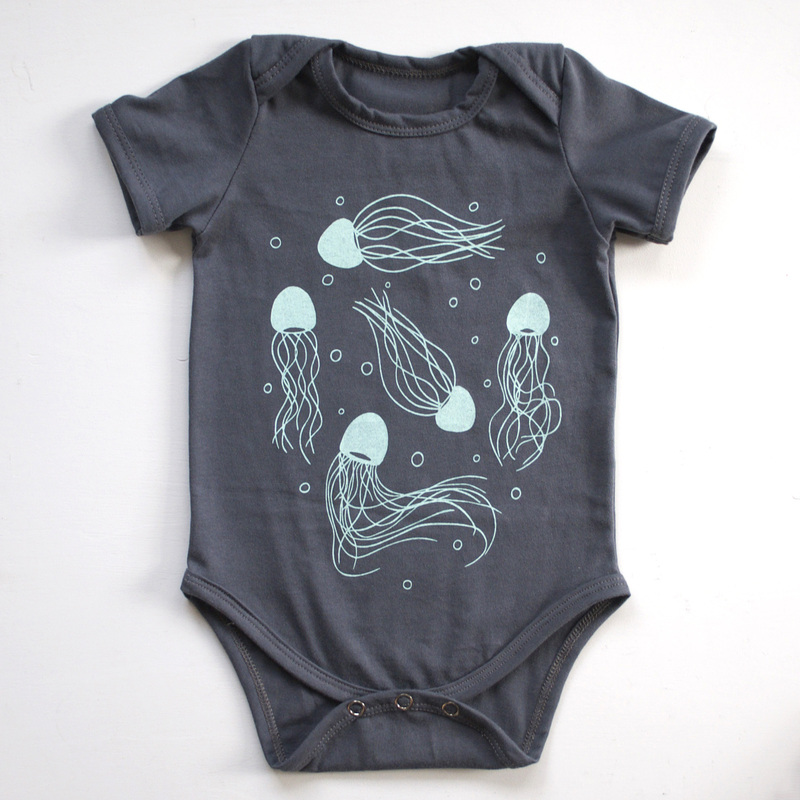 The Smallest Tribe will be going into production, right here in Australia, just in time for Summer. What happens now? Kickstarter takes a week to process everyone’s pledge and collect the money and then it’s another week or so for the money to be transferred over. A survey gets sent out for backers to fill in their info like shipping address, what size, colour and print they’d like or what colours they want on their messy bags. Once the funds from Kickstarter arrive the order can be placed with the manufacturer who’ll be able to begin production. The tees, bodysuits and bags are expected early November, just in time for hot Summer days and Christmas holidays. Huge shout out to Glenn from Threadless Films who filmed the video for Kickstarter! The Smallest Tribe is on Kickstarter! Today is the day! I can finally let you all in on what I’ve been working on for months! When I started The Smallest Tribe, it was for two reasons: To create clothes that let kids be kids, and, to make a difference while doing it. 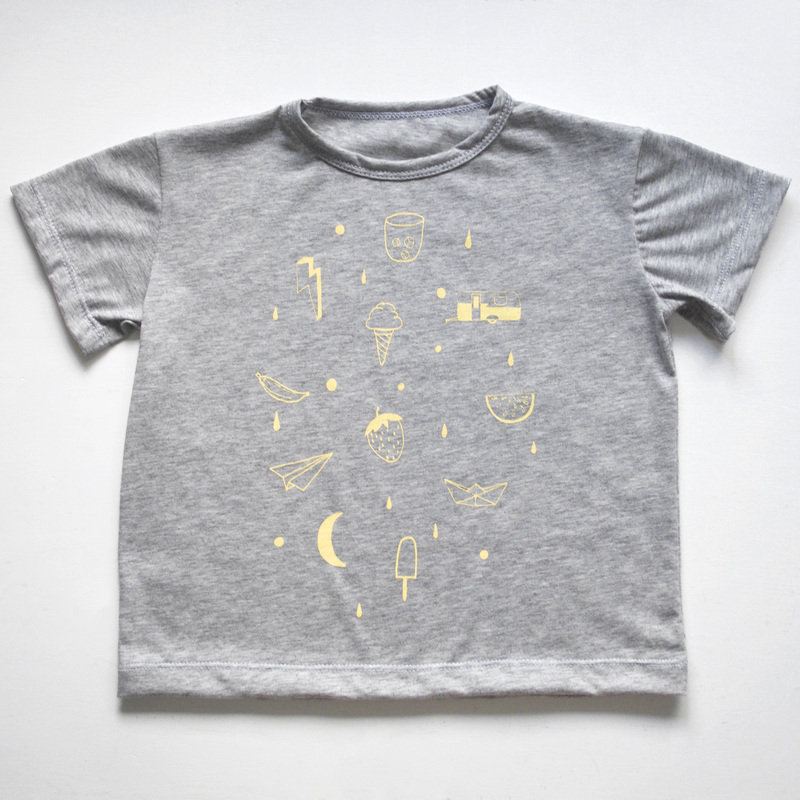 For almost three years now, The Smallest Tribe has been releasing limited edition collections that let kids be kids, and explore & engage with their surroundings. I have only ever used GOTS certified organic cotton, eco friendly, non toxic inks and teamed up with other local businesses as it’s grown and have helped heaps of kids get about in comfort and style, but I feel like there’s more to do to create meaningful and lasting change in the way our fashion is produced. That’s why The Smallest Tribe is going into production, right here in Australia, just in time for summer. It will mean more kiddos will be able to get their bods into clothes from The Smallest Tribe. It will help provide jobs in a safe, clean environment with workers being paid fairly. And while I have extremely high standards for the quality of garments I have made, I am really looking forward to a level of consistency this step will provide for you that I just can’t manage working in such a small studio. For example, they can cut 20, 50, 200 shirts in one go compared to me cutting one at a time. There will be tees and onesies featuring two new prints. Introducing, Jelly Beaches in Mint and Summer Confetti in Sunshine. I can’t do it alone. I’m going to need your help. 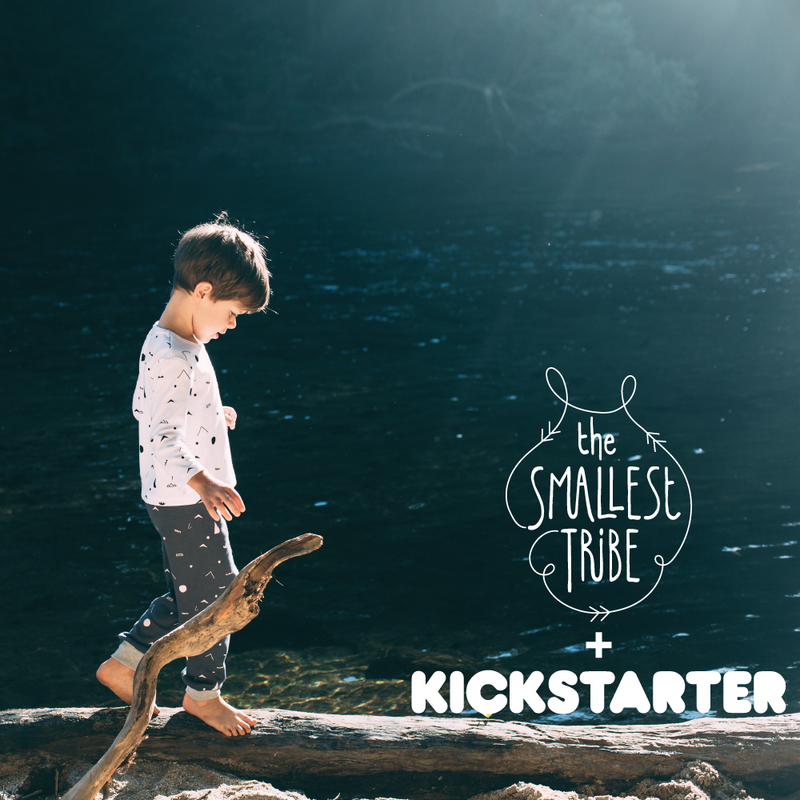 Until August 30, The Smallest Tribe is on Kickstarter! If you’re new to Kickstarter, or if you’ve heard of it but are not quite sure how it works, here’s a quick run down. In their own words, “Kickstarter is a crowd funding platform where backers bring projects to life. Project creators set a funding goal and deadline. 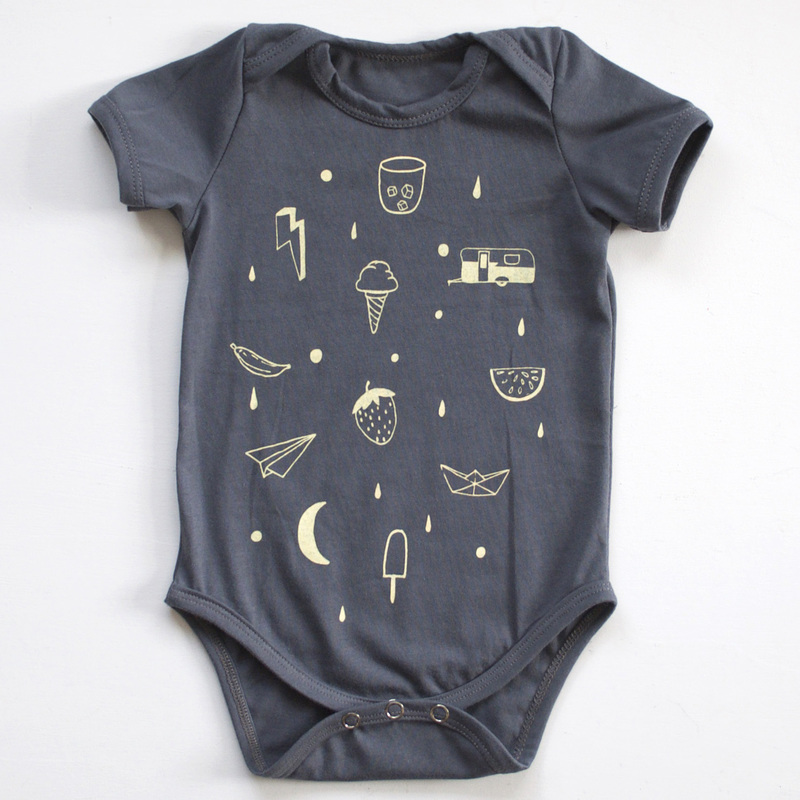 If people like a project, they can pledge money to make it happen.” You get to be a part of putting The Smallest Tribe into production by pledging money for rewards, in this case, tees and onesies. Basically, it’s Pre Orders on steroids! You can check out the project here – it’s worth it just to watch the amazing video that Glenn from Threadless Films created just for this campaign! 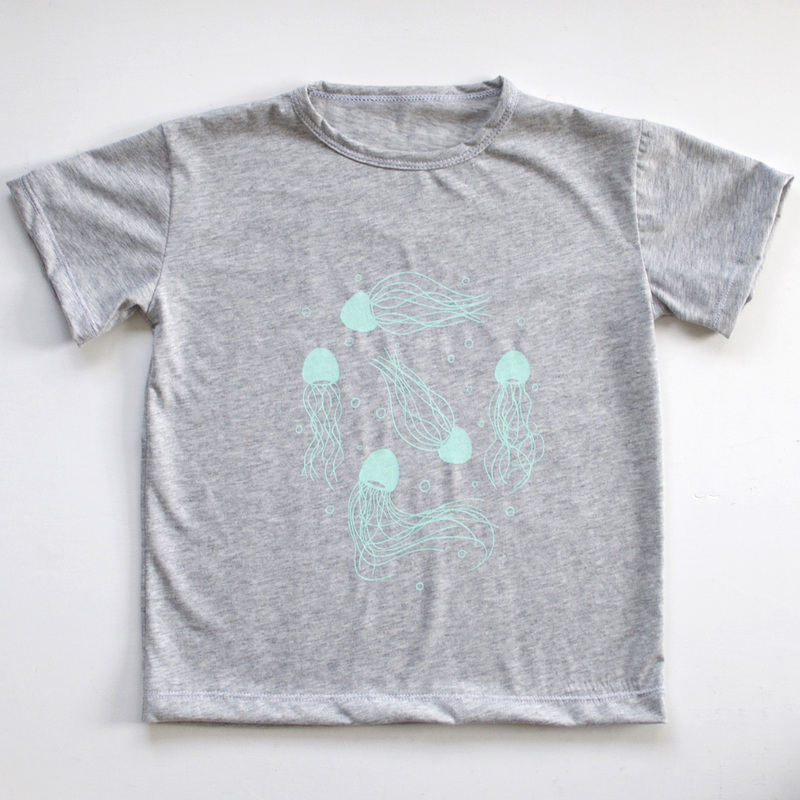 On this page you’ll be able to see all the different reward levels, place a pre order for the tees, onesies or limited edition messy bags and totes by pledging your support. The tees and onesies will retail for $45 once they arrive in November, just in time for Summer, but if you are quick, there are limited quantities available for $40 for early backers to the Kickstarter campaign, my way of saying a big fat THANKS for your support. Another benefit to throwing your support behind this Kickstarter campaign and making a pledge is all rewards will ship for free! So you’ll be one of the very first to get your hands on the new collection when it launches, just in time for Summer and the Christmas holidays, AND free shipping. The Smallest Tribe is not just about clothes. It’s about making a difference. You can help make that difference. Click here to check out the project, choose a reward and join the Tribe as we work together to create positive change. I look forward to sharing more about the project, the collection and the inspiration over the coming weeks.